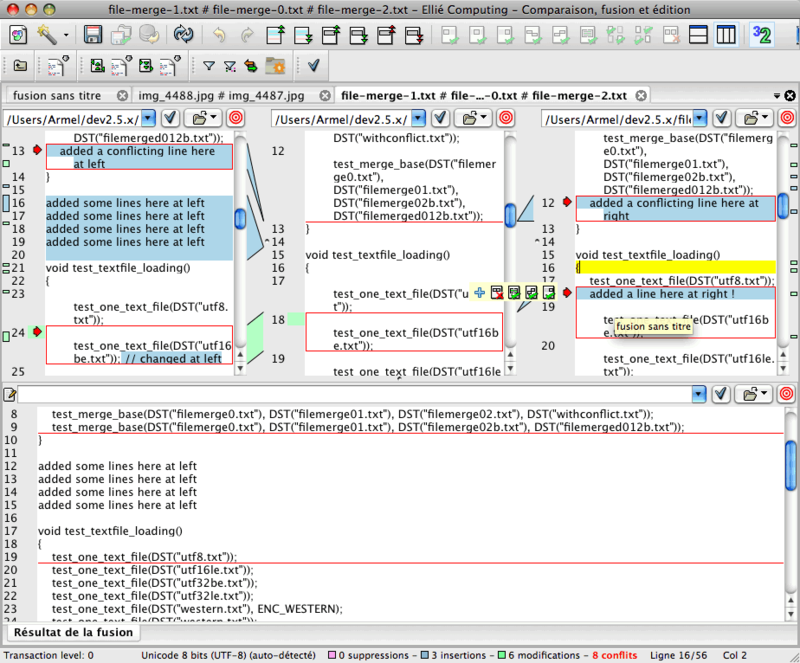 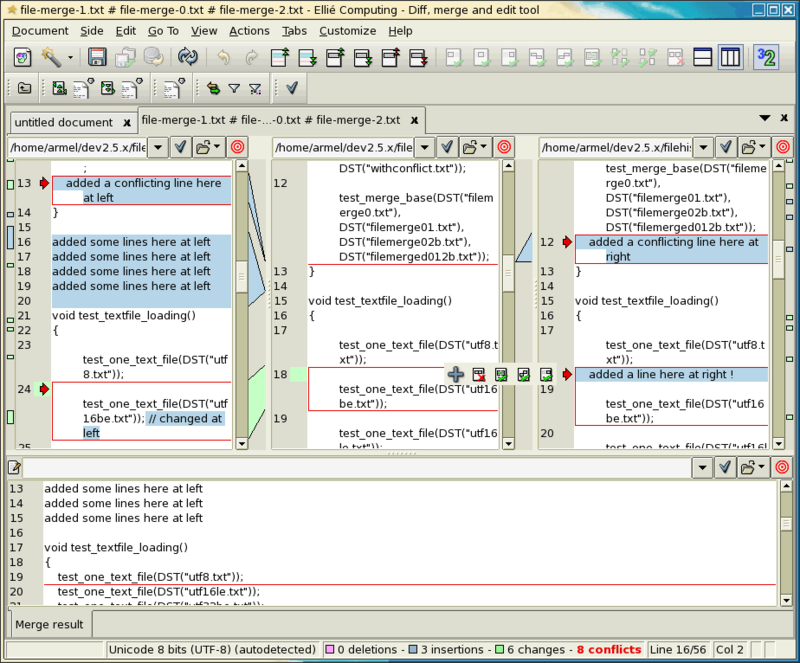 Ellié Computing Merge merges source code as well as any text files with or without an ancestor. 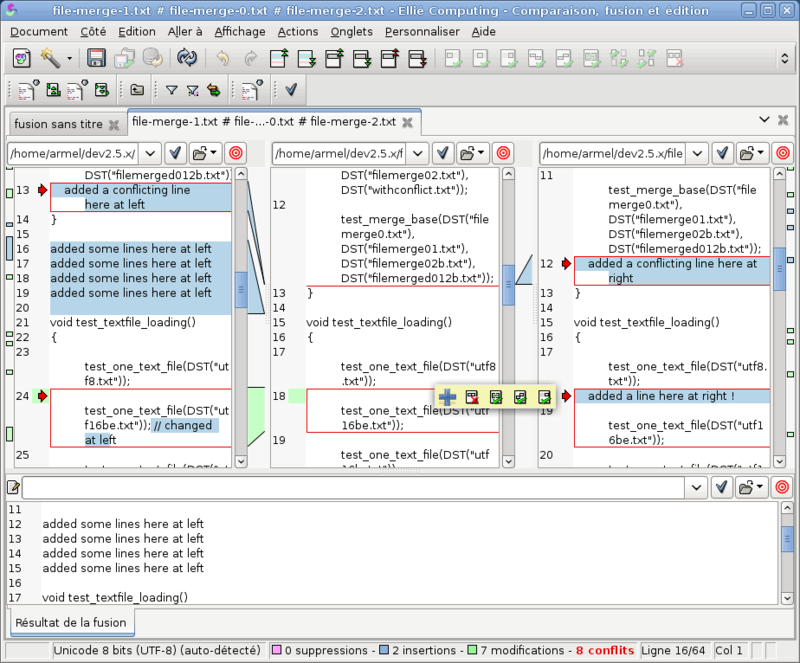 The usage of an ancestor allows automatic fusion (also known as 3-way merge), and the security options of ECMerge make this merge more secure. 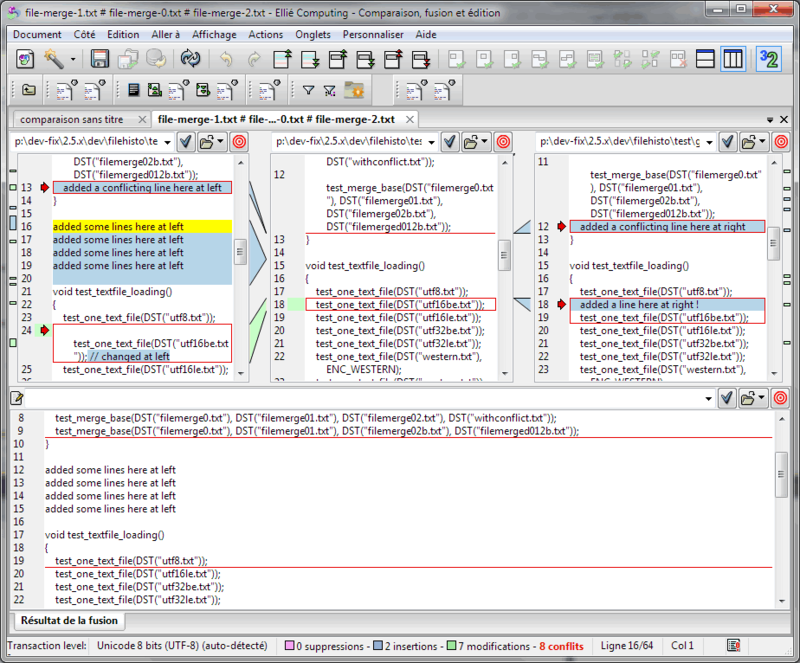 ECMerge proposes numerous predefined combinations for the conflictual texts and allows you to alter the text in the result panel.